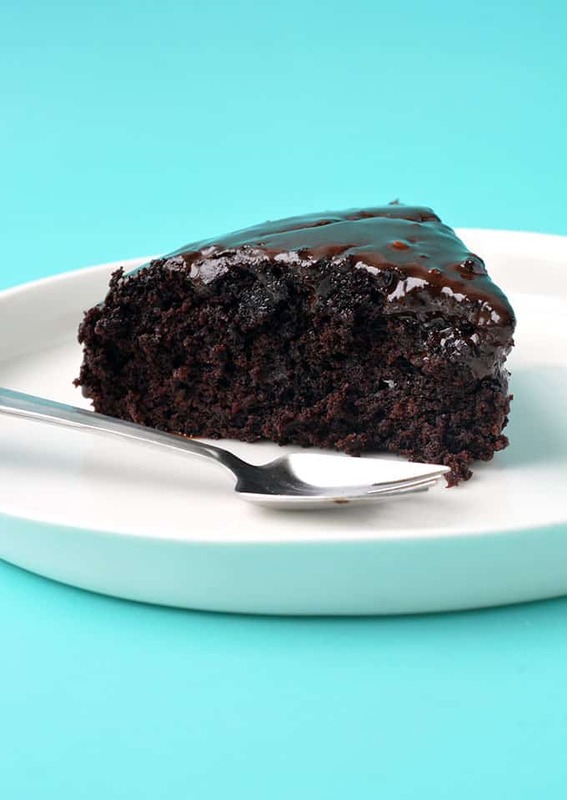 You’d never guess this moist Eggless Chocolate Cake is dairy free and vegan friendly. 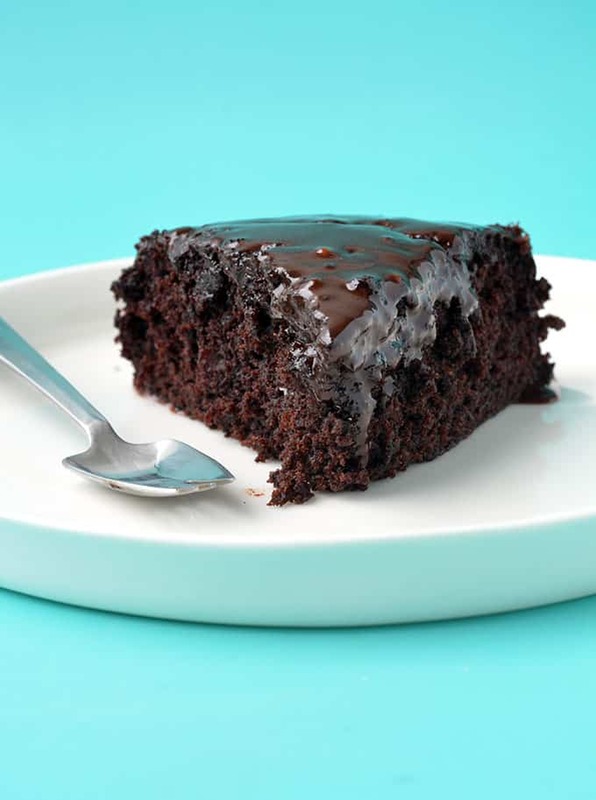 Made without eggs, butter or milk, its rich flavour and tender texture rivals any regular chocolate cake. 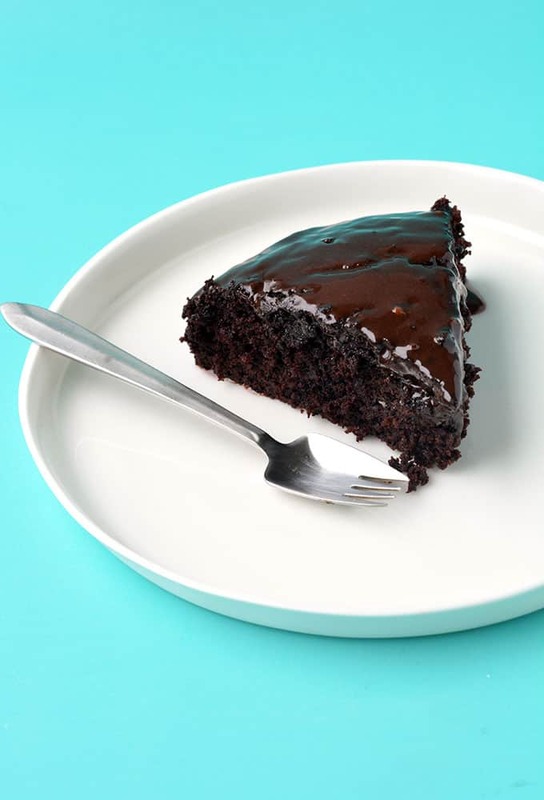 Introducing the ultimate chocolate cake with NO eggs, NO butter and NO milk. 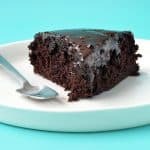 An Eggless Chocolate Cake that’s dairy free and vegan AND DELICIOUS? 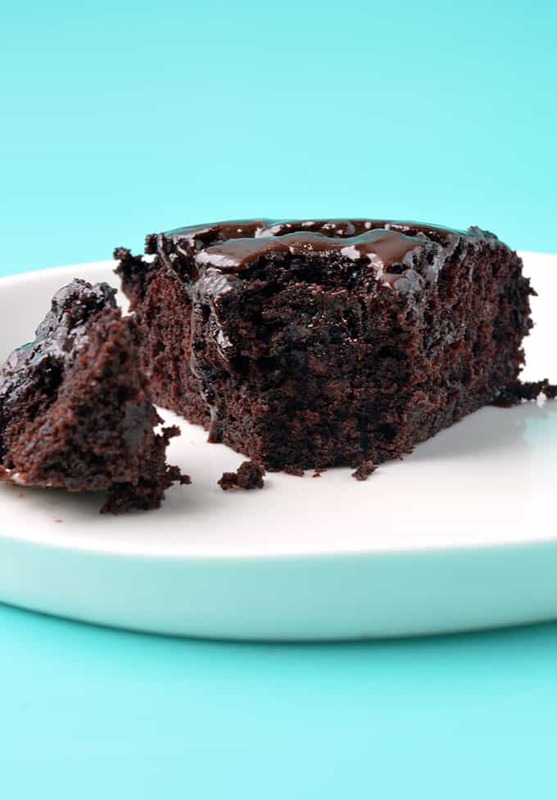 Right here my friend 👇🏻 This is a seriously fudgy, moist and tender chocolate cake that everyone will love. 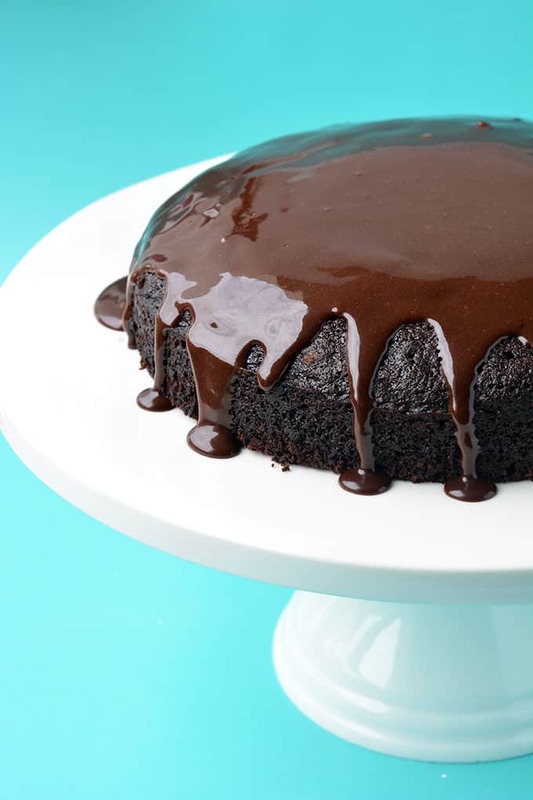 Covered in a drippy chocolate icing, it’s the perfect dessert. 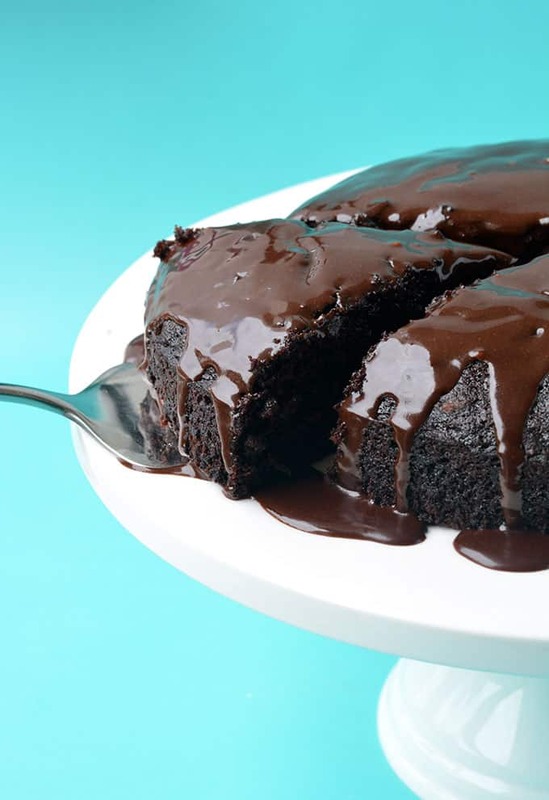 Who knew it was possible to make a delicious chocolate cake without eggs? Not me. If you would have asked me a few weeks ago, if I could make a cake without any eggs or butter that still tasted amazing, I would have probably said no. But now, my answer would be a resounding YES. This is the cake of all cakes. Seriously, this cake is everything. 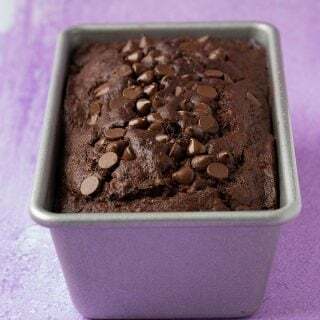 Sometimes referred to as a Wacky Cake or Depression Cake, this super simple style of cake was first born back in the day, when ingredients like butter and eggs were scarce. Because what is life without cake anyway? What you will love about this cake is how easy it is to throw together. 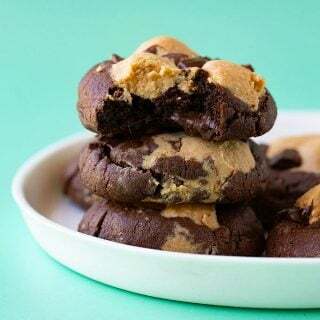 You don’t even need an electric mixer – just a bowl and spoon. What you will end up with is a super soft cake, in fact, it almost melts-in-your-mouth. The cocoa flavour is strong but sweet. For the perfect dairy free frosting, I also added a delicious drippy icing made with cocoa powder and maple syrup. It’s the perfect pairing. The icing literally melts into the cake and makes it mouthwateringly moist. 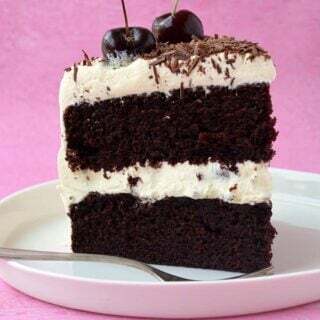 A soft and moist chocolate cake made without eggs or butter. Preheat oven to 180 C (360 F). 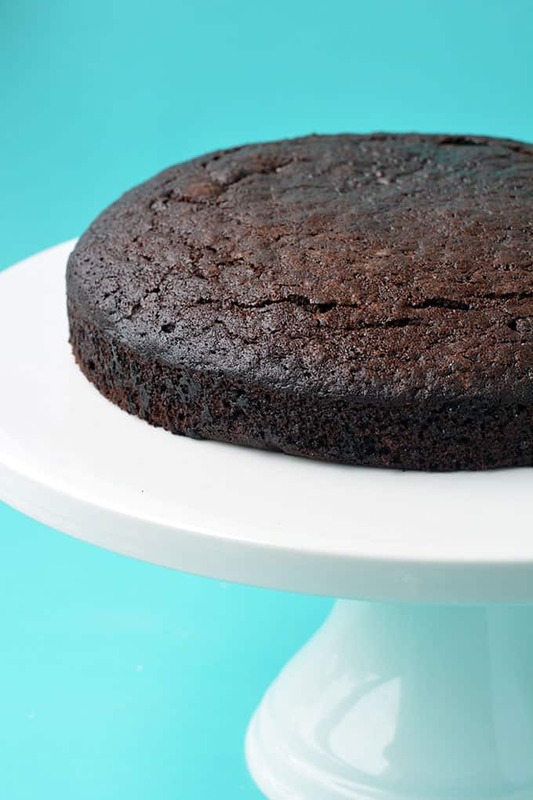 Grease an 8 inch round cake tin with oil spray and line with baking or parchment paper. In a large mixing bowl, add flour, cocoa powder. baking soda and sugar and stir briefly. In a separate mixing bowl, add water, oil and vanilla. Add water mixture to dry ingredients and stir to combine. Pour into prepare cake tin and bake for 28-30 minutes or until a skewer inserted in the middle comes out clean. Carefully remove from cake tin and transfer to a wire rack to cool completely. To make the frosting, sift together sugar and cocoa. Add maple syrup and water and stir until smooth. Pour over cooled cake and serve immediately. Recipe is great but I don’t think it would be vegan if you grease the tin with butter! Gah! Good pick up! Thanks James! Can you use a grated chocolate bar? Hi Jill, do you mean instead of the cocoa powder? I can’t say because I haven’t tried it myself. Hi Jessica, we substituted with wheat flour and apart from that followed step by step but into cupcakes (just so they’re easier for school). It tasted perfect but didn’t rise as the perfect dome cupcakes..something I didn’t do right? I had a little trouble getting it from the pan, so just turned it into a trifle instead! It was really delicious. And super-easy. Am going to try this recipe..looks delicious.. I really liked how soft this cake was! Is the cocoa you used alkalized (dutch-processed) or natural/raw? Hi Monika! I just use regular natural cocoa powder.